Wow. This was weird and stupid. Does this mean we're not gonna have the big Charlie Rose interview this time? why is that ditzy loudmouth from oprah asking paul questions....? c'mon. and that other loudmouth needs to silencio too. also, charlie at the end: can you answer this is fifteen seconds? what was the most important thing you learned from robert altman? 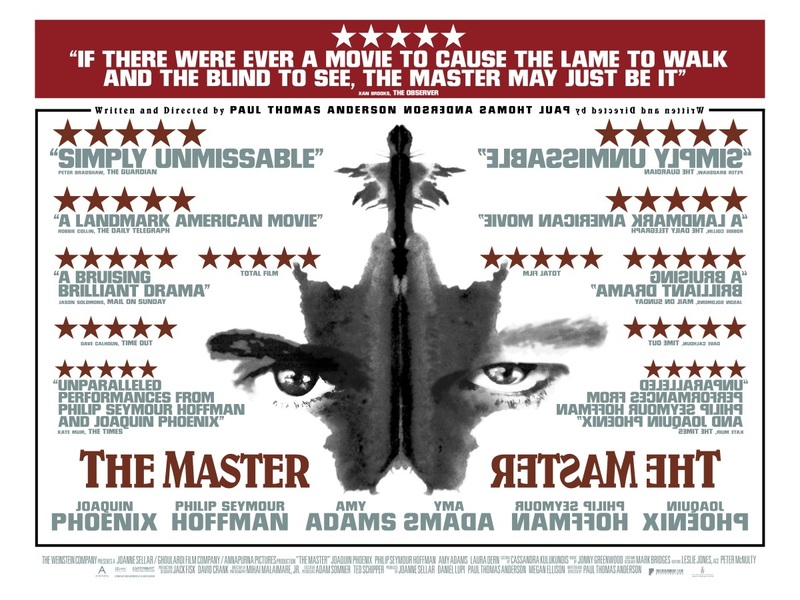 The Lisbon & Estoril Film Festival 2012 just announced The Master as one of the many movies to be screened there. It will be Out of Competition. There's also going to be a complete career retrospective of Brian de Palma. One of two things will probably happen: either I get a press pass and spend my days there, or work will keep me from seeing anything. The second option is the most likely. Do you think this might hurt his chances? But Joaquin's ultimately right though. He'll still get nominated, or else it'll be obvious that the Academy is totally petty. They probably ARE petty, but they don't like to be obvious about it. They want to pretend to be legit, and one can't appear legit without nominating this performance. Also, others (Woody Allen springs to mind) have expressed disinterest in the Oscars and they still get nominated (and sometimes win). It's just the kind of transformed performance that the Academy loves. I'm sure he will be nominated. PSH has a smaller chance. He of course only won for his most transformed performance, in Capote (which was also arguably one of his least impressive). Coming to theaters this fall...the new film from Paul Thomas Anderson starring Philip Seymour Hoffman, Jeremy Renner, Reese Witherspoon and Emma Stone. Yep, had the cards been dealt differently for PTA, "The Master" would have been quite another picture. 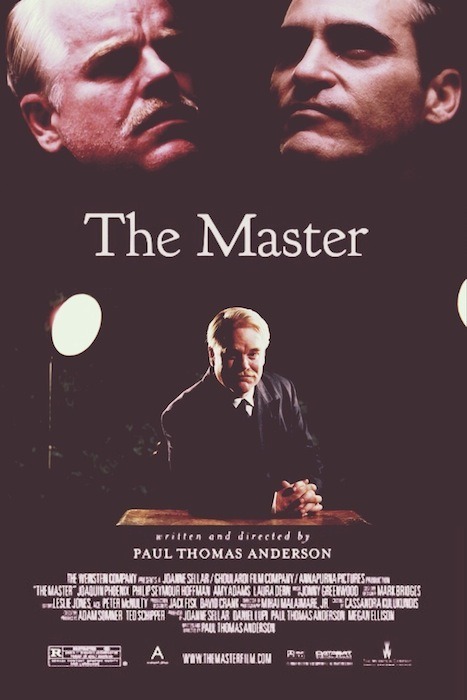 Now we can add another actor to the trivia list of the version of "The Master" that didn't get made. “And so, incredible movie, needless to say I didn’t get the part. I guess I wasn’t scared enough or something, or whatever reason I didn’t get it," he continued. "And then when I saw Joaquin [Phoenix] in that movie I realized ‘Oh, he wanted me to like lose my mind.’ And so I guess that’s just to say I usually don’t get scared of roles." Any xixax-Londoners going to The Master this weekend? I'll be in town to see it saturday at 17.00 and sunday at 17.40. I'm going to the Friday night 20.25pm screening! CANNOT WAIT! PS. Doesn't it feel good to see the Ads all over the tube stations? You know how I'm supposed to go to the Odeon from Saint Pancras ? I used Google Maps, but people is always better than Google Map, sometimes. I'll come from France next friday. I want to know everything about the 70 mm at the Odeon ! Hey Drenka, just go to Kings Cross St. Pancras Underground, get the Picadilly Line to Leicester Square tube station, come out the station and walk into Leicester Square and the Odeon West End is in the right hand corner of the square, across from the main (huge) Odeon Leicester Square cinema. Should take about 30mins! I will report back from the screening on Friday, cannot wait!